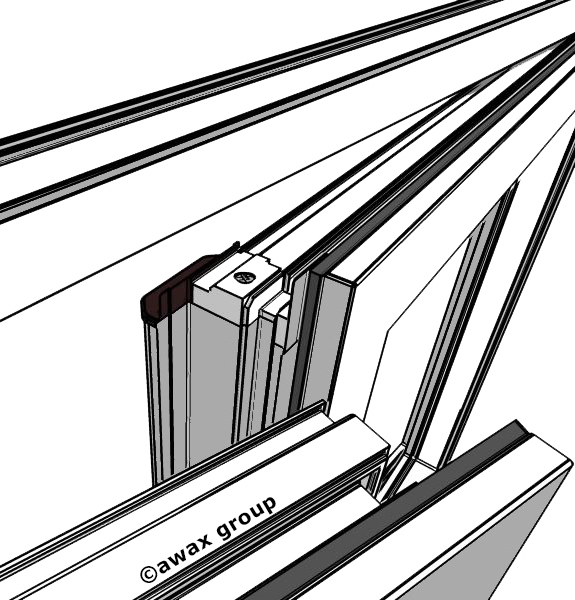 Glass packers are used for glazing wood, PVC and aluminium windows. Their task is to properly wedge the glass in the window frame. We offer packers in different widths, which will allow to properly glaze both single windows as well as very wide insulating glass units. Our packers from 10 to 60 mm wide and 100 mm long. Widths are marked on the packers. Packers manufactured by us are made of polypropylene in different colours. Different colours denote different thicknesses of packers. 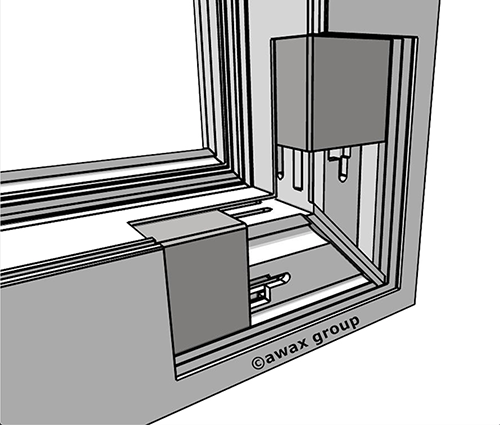 Glass bridges are used to align the drainage holes in PVC window systems. They have longitudinal ribs to ensure a free flow of water under their surface. They also have special latches that permanently mount them in the window profile. Most of our bridges have side limiters to prevent spacers from sliding out, thus reducing the need for using silicone while glazing. They are made of polypropylene or polystyrene. FLEX type bridges are constructed in such a way that they can always be placed properly in the glazing chamber. 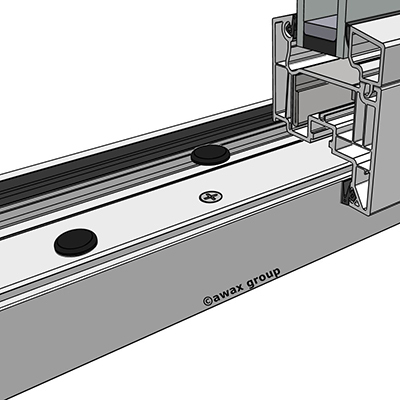 Thanks to their specific shape they fit to the width of the chamber, eliminating deviations from the assumed dimensions occurring frequently in profiles. 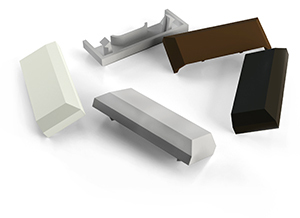 System SMART Meeting the expectations of customers, we have introduced system bridges, which removed the need for using silicone when glazing when using more glass packers. This line is called "Smart". 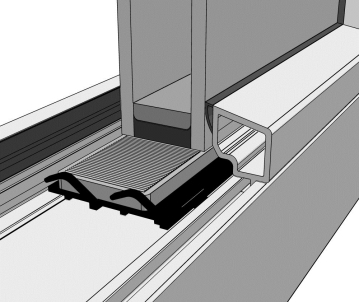 Bridges of this type, thanks to the use of unique solutions of movable side limiters, enable wedging the pane using both one or many glass packers. Drain hole covers (weep hole covers, drainage caps) are used for masking the drain hole in PVC and aluminium windows, improving their look. 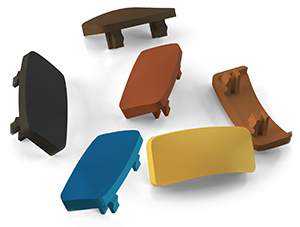 We make eight kinds of covers, differing in both shape and material they are made of: Radius, Radius II, Boomerang, Rectangle, Oval, Ø10mm, Milano and Aluminium. They are made of plastic modified with special additives that protect the element from weather and UV radiation. We produce covers in several colours to match the colours of window veneers. There is also a possibility to make covers in different colours on request. 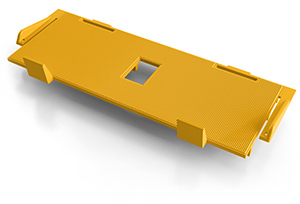 Our offer also includes covers for mounting holes in sizes Ø8, Ø10, Ø13 and Ø15 dowel covers. Mounting covers are used to mask the holes created during installation of PVC and aluminium windows, whilst improving their look. 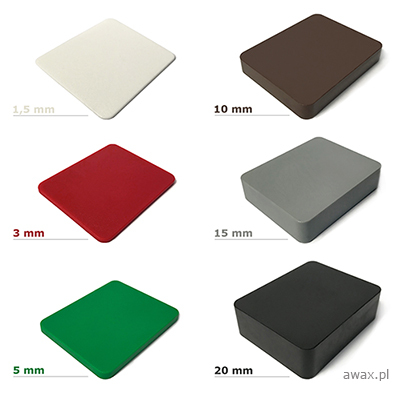 We have sizes Ø6 mm, Ø8 mm, Ø10 mm, Ø13 mm. Every size is avaliable in many color options which makes the cover match with window frame seamlessly. 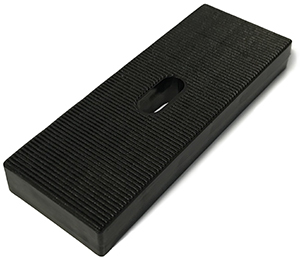 Our Dowel covers are Ø15 mm and they are used to mask the head of the dowel during the installation of windows. Floating mullion cover is a decorative end piece of the mullion. In addition, it plays an important protective role against the inflow of water into the mullion. 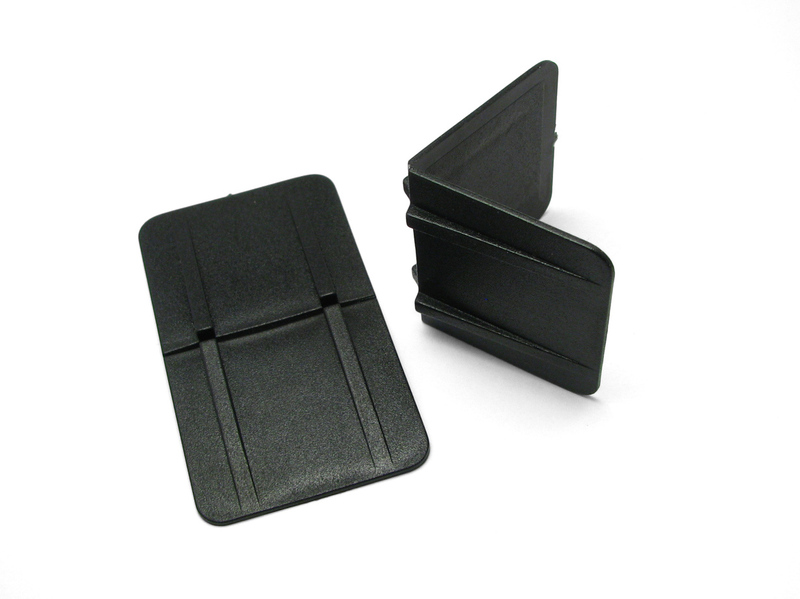 Covers produced by us are made from resistant to UV rays ASA plastic. We offer one- and two-colour covers. Runners help guide the sash to the correct position in the frame. They also keep it in the correct position, preventing it from falling out. They are used mainly in windows with heavy sashes. Runners made by us are made of durable plastic, which ensures the optimum slip, and are abrasion resistant. We offer two types of runners - attached to the frame and bolted to the sash. 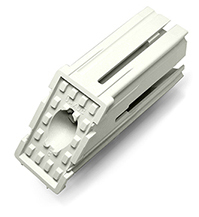 Corner reinforcements are used with PVC profiles. 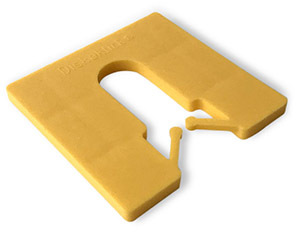 Their use greatly increases the strength of the welds. We also offer a special mounting key. Our reinforcements are made of PVC. 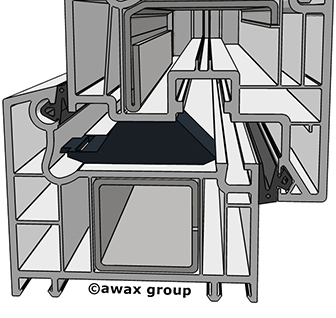 It is the most suitable material from which they should be produced, because other materials do not guarantee a permanent connection of welded corners. The design of the reinforcement allows for its quick and precise positioning. Glazing shovels (glazing paddles) facilitate wedging the insulating glass unit with glass packers. 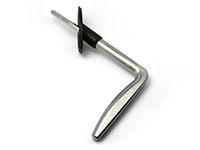 They are used for toe & heeling windows and doors as well as leveling and lifting woodwork and furniture. 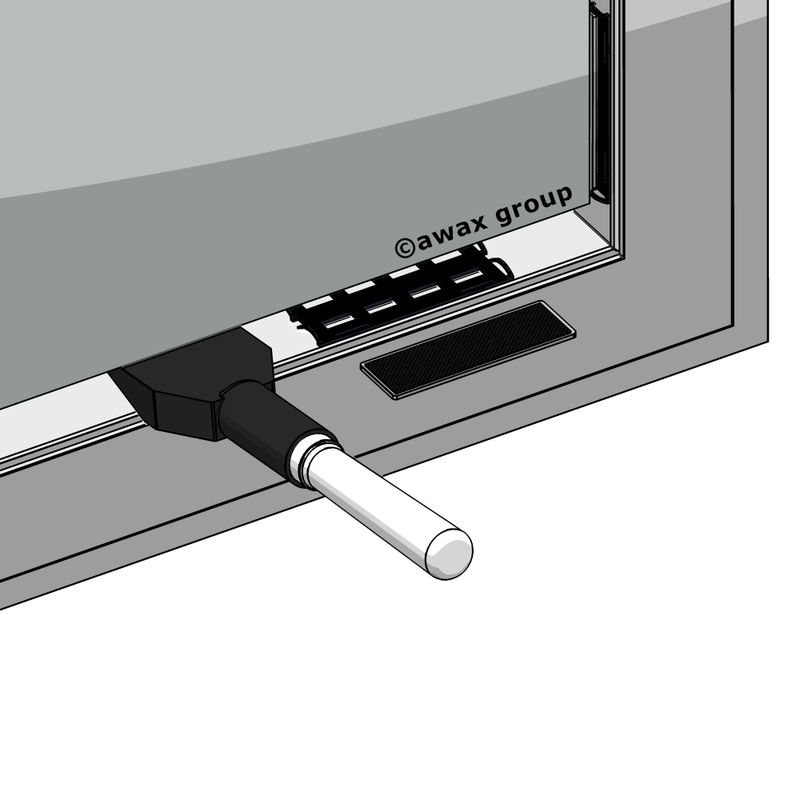 The tool prevents glass from damaging while glazing and lifting. Shovels produced by us are made of plastic or wood. 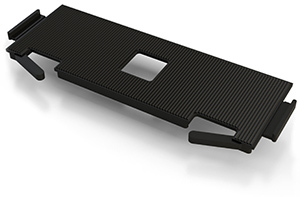 Thanks to the use of specially modified, durable plastic, our blades are very solid. At the same time their refined ergonomic shape and easy to handle grip making the shovel very practical and easy to use. Necessary articles for assemblers of construction joinery and more. 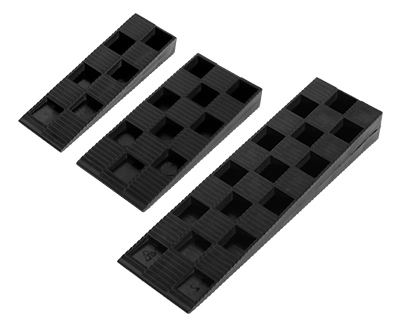 Three types of mounting wedges, mounting pads with a hole and special heavy-duty plastic spacers under heavy load. 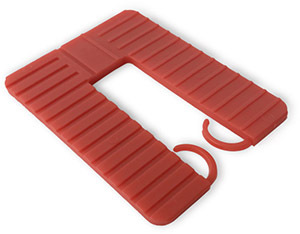 The wedges thanks to their non-slip surface can be combined together. Spacing elements for the skirting boards are used for correcting/eliminating uneven surfaces of walls. 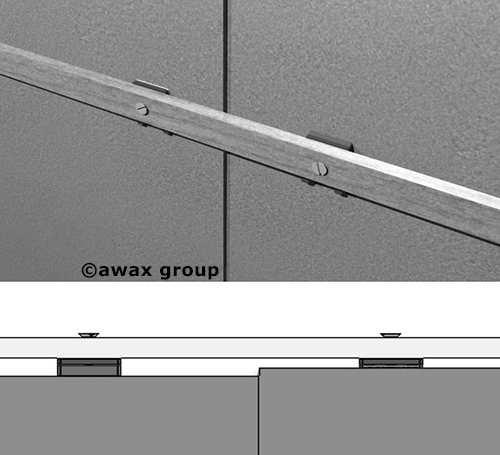 During the assembly – in order to obtain the required distance from the board to the wall, the spacing elements are mounted on a fastening screw. 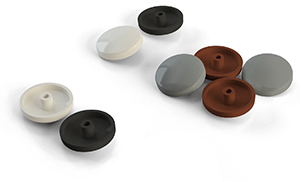 Spacers can be used in every thickness combination, and their specific shape makes the proper application considerably easier. 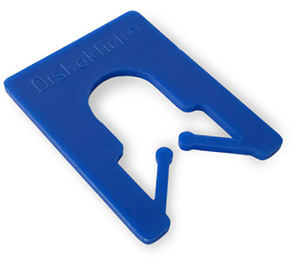 They are reusable, made of solid plastic. 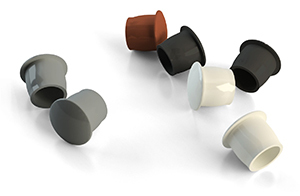 Each size has a different colour which makes them easy to distinguish. 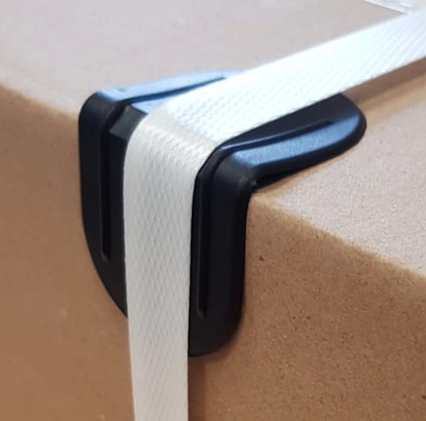 Strapping corner with a thorn 40 guarantees no movement of the corner on the edges of cardboard, which is inserted with the help of a thorn. The size of the wing 40x40mm. Strapping corner with a hole 50 has the possibility of stapling the binding straps up to 20 mm in it. This solution guarantees stability of the corner. The size of the wing 50x50mm. Folding strapping corner 40 fits all types of packcages, because it is able to take any angle of opening. The size of the wing 30x40mm. 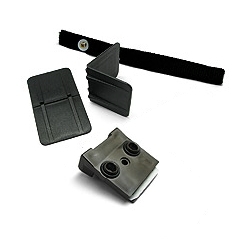 Articles for transporting windows: carrying straps for PCV and wooden windows in different lenghts, plastic corners for strapping and window hardware locks. 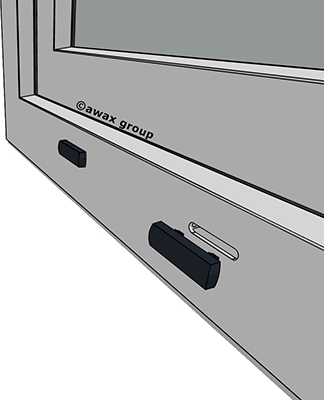 We also offer articles such as mullion connectors, frame connectors and glass packers for scandinavian windows.